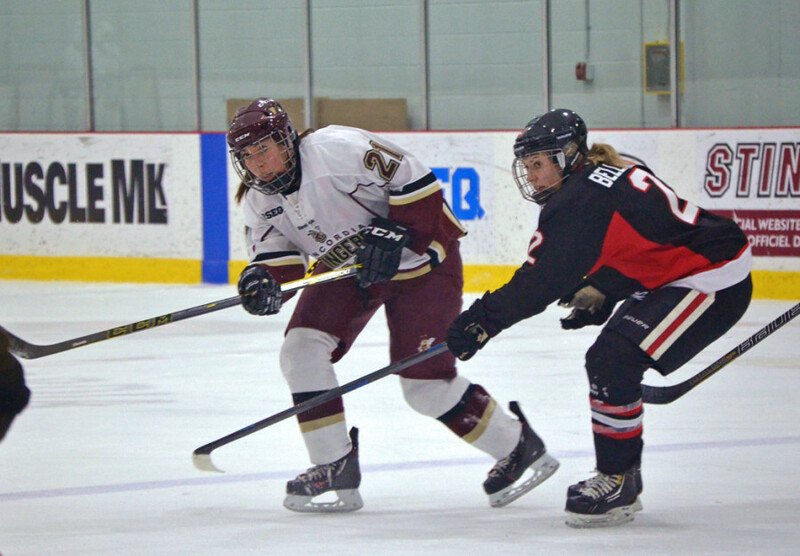 Women’s Hockey Team Shut Out In First Game of RSEQ Playoffs. Despite beating the Carabins in their season finale, the Stingers couldn’t muster enough energy and were blanked 2-0 at the CEPSUM in the first game of their playoffs series last Thursday. The Stingers found themselves behind the eight-ball very early in the game. Forty-eight seconds into the tilt, Carabin forward Ariane Barker gave the home team the lead as she pounced on an open rebound that eluded Purchase. Early in the second, the Stingers had chances to tie the game back at one-apiece with two straight power plays of their own but failed to get enough shots on goaltender Elodie Rousseau-Sirois. By the end of the second period, it was still anybody’s game with Montreal still up by the lone goal, despite the shots being heavily in their favor, 24-7. Neither team was able to score on special teams despite both sides getting chances. Montreal had seven and Concordia with five. Montreal added an insurance marker just over two minutes into the final frame when Emmanuelle Passard retrieved her own rebound, giving the Carabins a cushion. The Stingers tried to amp the pressure to get on the board, including their own five-on-three for 12 seconds midway through. Nothing would get past Rousseau-Sirois though. She made 15 saves to earn the shutout. In the loss, Purchase turned aside 38 shots. Despite the loss, she still has high confidence heading into game two Saturday afternoon at Ed Meagher. Before the playoffs started, three members and the head coach of the Concordia Stingers were named for six individual Réseau du Sport Étudiant du Quebec awards. Goaltender Katherine Purchase was nominated for three awards, including rookie of the year in the entire Canadian Interuniversity Sport. Les Lawton, in his 34th year behind the bench, took home the coach of the year trophy. The next game will be played at home in Ed Meagher Arena, and the Stingers are already gearing up for game 2.